This week the Bauer family (with perhaps the exception of Jonathan who suffered from a "few" technical issues at work) had a BLAST! :) We hadn't seen Aunt B since Nathan's second birthday, but she made the journey from Maine to Arkansas last Saturday. Nathan got to meet her at the airport with Grammy and Poppy and then stay with her as she spent the first part of the week in Conway. Along with cousins Joley and Riley, the whole gang had a great time snuggling with Aunt B and spending time together. Later in the week, they all headed south and spent a few nights in Nashville. I'm sure Aunt B appreciated the rustic charm of our fair city - and the number of cows she was able to count along the way. While she was here, we all had a great time and made some fantastic memories together - from watching Nathan hug Chuck E. Cheese for the first time to singing jazzy songs in the car to baking the most adorable Halloween cupcakes! There he is folks, my sweet baby boy, his precious profile, and his manly parts at 20 weeks and 5 days. It also seems that he approves of his name now, because his flutters have suddenly turned into kicks. Anytime I take a break from moving around, Owen makes his presence known. And I love it! To be honest, I don't think Nathan ever moved around this much. He was a pretty mellow unborn baby and he's a pretty mellow kid now. Maybe a rambunctious little brother is on the way. We will find out soon enough! Happy Monday, everyone. Yep, I thought my post title would get me a giggle or two. 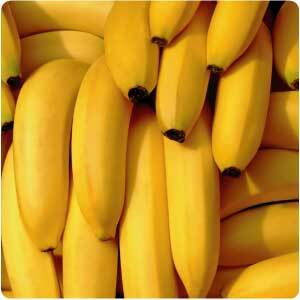 As you may have gathered, I am 20 weeks pregnant today and my sweet little baby is now the length a banana. 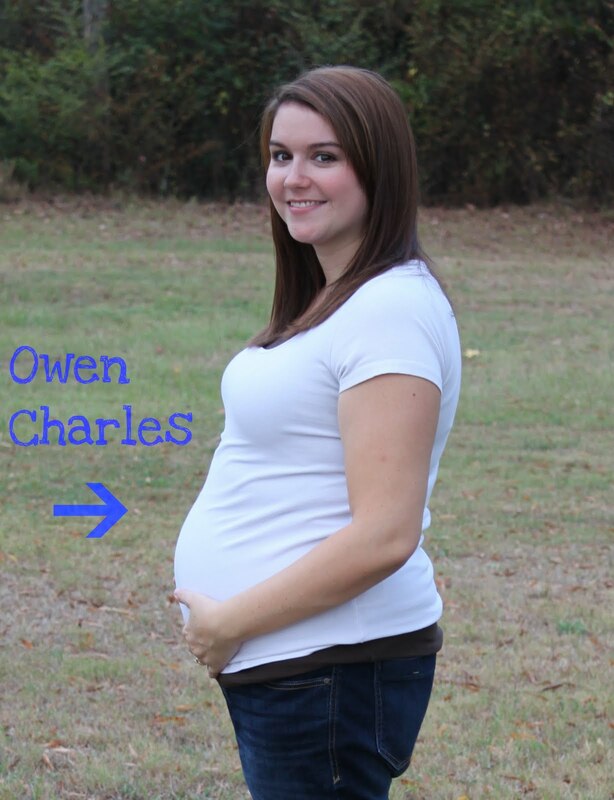 It's hard to believe today marks the mid-point of my pregnancy. After such a rough first trimester with all the weird complications, extra appointments, and days dragging on, time seems to be flying by now! And as soon as we find out who is growing in there, I know it will speed up even faster. On that note, my mind is still constantly switching from Team Blue to Team Pink. Unlike my first pregnancy, my mother's intuition is doing absolutely nothing for me. Oh well... FIVE DAYS on the ultrasound countdown! In a frantic frenzy of closet cleaning, room painting, and super-duper organizing, one of my crazy pregnant nesting needs was met this weekend. *Insert sigh of relief here* For those who have visited us, you'll know Nathan's room was never really put together. Not knowing whether a baby was on the way and which room would serve as a nursery, it's been on hold... for almost a year. But no more, my friends. Our former office/guest room has been repurposed into the most awesome, bright green big kid room you've ever seen. Nathan is absolutely in love with his new, cool room. Last night was his first night in the big bed and he did pretty well. He stayed asleep until 3 am and then, with daddy's help, it wasn't long before he was back in dreamland. When I tried to wake him up to get ready for the day, he curled up tight under his covers and gave me the "five more minutes" grunt. A grunt of satisfaction, I'd say. As great as my life is going at this point in 2010, it's hard not to look back and remember the heartbreak we went through while dealing with the loss of a pregnancy in March. I'm doing quite a bit of remembering today as the magical date 10-10-10 was the due date I was given after a positive pregnancy test Feb. 3. 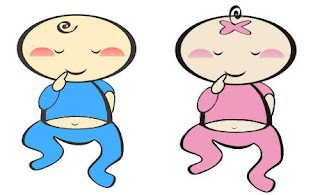 However, on March 10 - seven months to the date - my doctor diagnosed a miscarriage when he could not find a growing baby on the ultrasound. Today I am sad that I don't have a newborn to love, to protect, to raise. She should be in my arms today, not on my mind. It still hurts when I think about the fact that I wasn't able to save the life of someone so innocent. Seven months ago, I learned the hard way that life is just not fair. However, when I remember the pain of what happened, I can't help but smile when I feel little kicks from the inside. No, I am not 40 weeks pregnant today, but I did reach my 19-week mark yesterday. I reached 19 weeks with a little heirloom tomato-sized baby who reminds me of his or her life every day. Each time I start to worry, my baby reassures me that life is growing and blossoming inside me. This baby doesn't replace the angel we lost, but this pregnancy proves that I am still capable of producing beautiful life. On the same note, thinking about the baby who slipped away before we had a chance to meet proves how precious and fleeting life can be. Watching my due date come and go with nothing to show for it makes me sad, but it also makes me count my blessings more often, appreciate life stronger, and love harder. I thank the Lord that I do have the ability to have children and I pray for those who struggle with it. I miss that baby more than I can describe, but for someone I never met, she taught me more about life than anyone else ever could. I miss you, sweet baby, but I'm glad you're home and I'm glad you were in my life, even if it was only for a few weeks. (Ahem) Now, get a tissue. :) And make sure you tell everyone you know whose lives have been rocked by miscarriage, stillbirth, or infant loss that you love them and are always there for them. October is Pregnancy and Infant Loss Awareness Month and on Oct. 15 (this Friday), people around the world are lighting candles in honor of all the little angels who have changed their families' lives forever. More information on this Wave of Light can be found HERE. I will light a candle not only in honor of my angel, but in honor of everyone who helped me find the strength to carry on. Thanks to all of you for being there for my family, for me, and for my sweet angel. Anyway I was just unloading the weekend's pictures and thought I'd stick a few on here since you guys like to look at them so much! As for the rest of the weekend, we spent lots of time with these cheese faces plus my aunt and uncle who were still in town. On Sunday we went to church and met with our favorite Catholic Youth Ministry kids - we have a lot of fun stuff coming up these next few months! We also played outside at Nana's and enjoyed a day that never hit 80 degrees. It was the perfect day for reading the newspaper in the grass and the perfect evening for a little football. Hope y'all had a wonderful Sunday. Enjoy the pictures! What do you think? Pretty impressive size for 18 weeks, I'd say. :) Granted, I have only gained a few pounds so far - woohoo! That bump is just my guts rearranging and pushing up to make room for baby. Cute, right? Anyway, I know I can't end this post without comparing my sweet baby to a fruit or a vegetable. 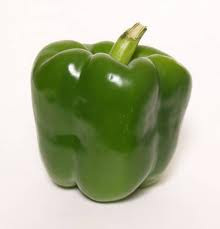 So, without further ado, as of today, my precious baby is approximately 5.5 inches from rump to head, weighs 7 ounces, and is the size of a bell pepper! Can you believe there are only three more fruits and/or veggies to go through before we can change Baby Bauer's name to something much more substantial? I can't wait to know who is growing in there. And starting to softly kick me. :) I love feeling my baby's movement and although it's few and far between now, I know in the coming weeks I won't be mistaking indigestion for baby. Hope you are all still watching cartoons in your PJs. Happy Saturday morning!